Equip your breakroom with the cutting tools for essential for slicing, spreading and serving during everyday and special events. Breakroom set includes 8" chef knife, 8" bread knife (with serrated edge), 4" pie spatula, 3" spreader and a polyethylene cutting board. Sturdy blades are made of stainless steel. Handles are made of ABS plastic. 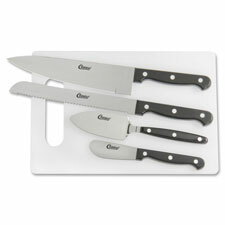 Knives are dishwasher-safe. 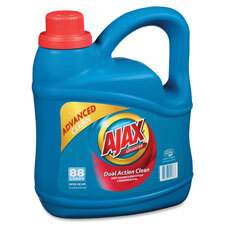 This liquid detergent attacks dirt and soils to provide a renewed freshness. Special detergents lift water-based and oil-based soils from fabrics while deodorizing your clothes. Low-sudsing formula rinses away cleanly without leaving behind any residue. Laundry detergent is designed for use in traditional and high-efficiency washers. Extra-concentrated detergent gets deep into the fibers of your clothing to leave them feeling remarkably fresh and clean. Advanced stain-fighting formula powers away tough stains to keep whites bright and colors vibrant. Plus, its pleasing fragrance enhances clothes with an irresistible scent for the perfect finish. 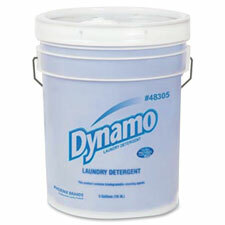 Laundry detergent is formulated specifically for high-efficiency (HE), front-loading washers. 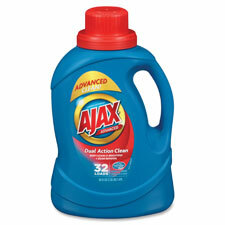 Liquid laundry detergent features special builders to deliver maximum cleaning power while still being gentle on clothes. Light, fresh fragrance delivers an enchanting finish for a completely fresh feel. Mild formula is completely free of harmful dyes and enzymes for the benefit of sensitive skin. Its helpful cap doubles as a convenient measuring tool to accurately portion the perfect amount of detergent and prevent wasteful use. Liquid laundry detergent lifts away tough dirt, fights odors and cuts through grease with a robust, triple-action design. Advanced combination of ingredients helps extend the life of your clothes by keeping colors bold and brilliant. The helpful cap doubles as a convenient measuring tool to accurately portion the perfect amount of detergent and prevent wasteful use. 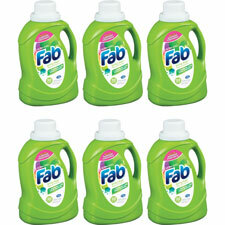 Plus, its easy-to-rinse formula washes away completely to prevent leaving any residues on fabrics.